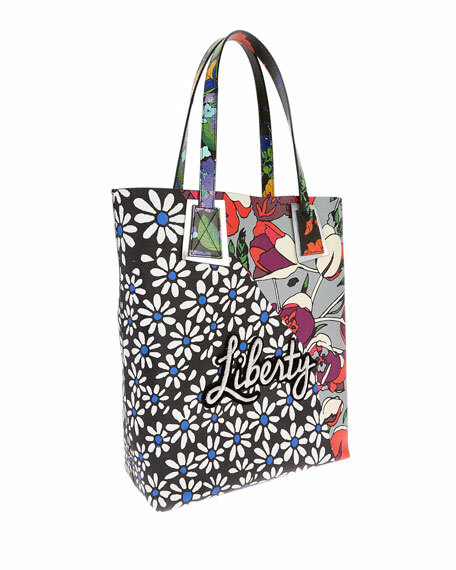 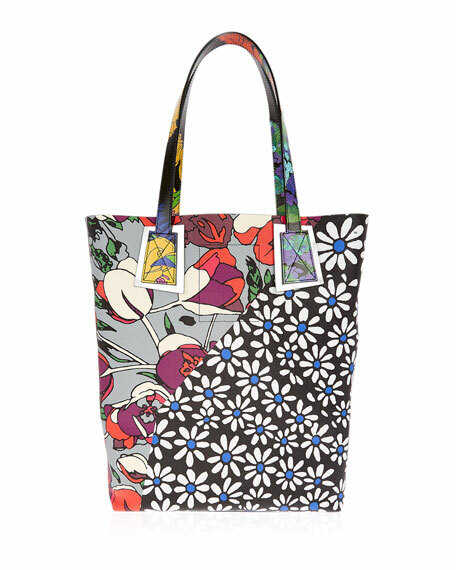 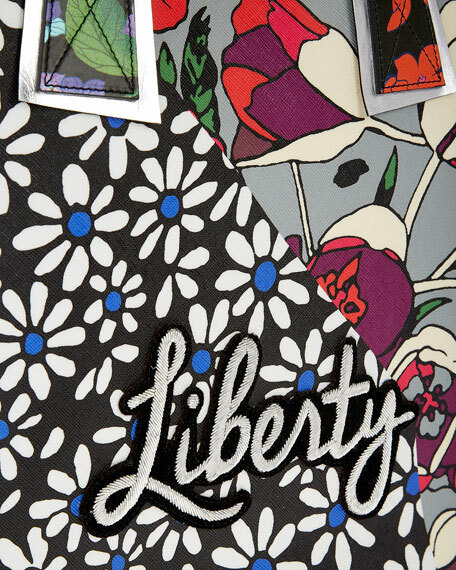 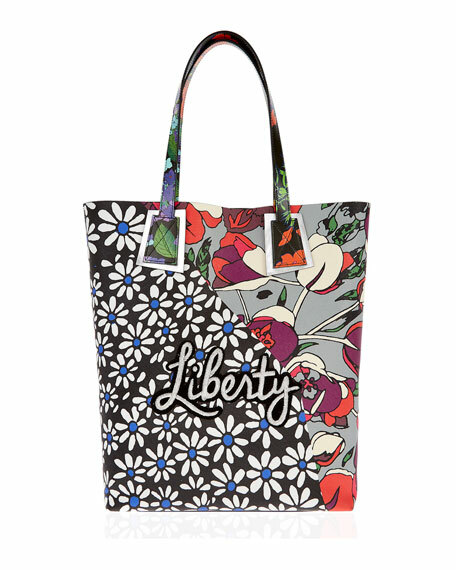 Liberty London canvas tote bag in multi-floral print with leather trim. 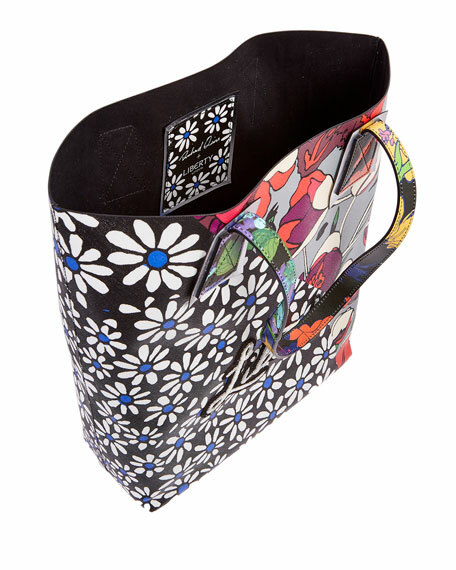 Printed flat shoulder straps, 9.1" drop. 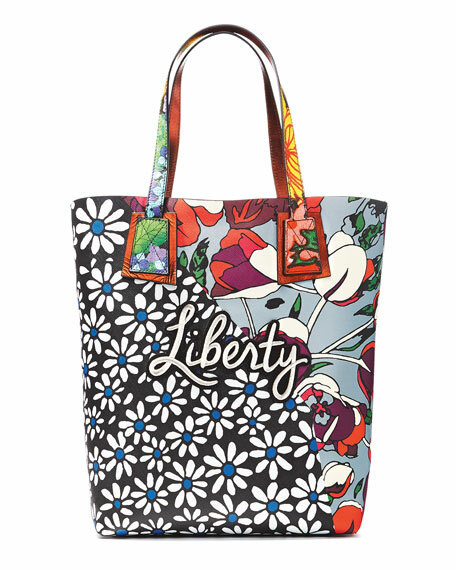 For in-store inquiries, use sku #2658442.